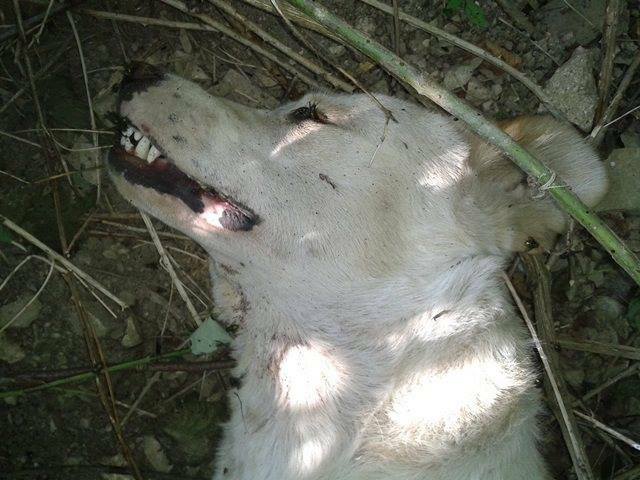 On the 12th of July, volunteers of the Association for Saving and Protecting Animals “SAPA Zenica”, after receiving allegations from citizens, organized a search and discovered the bodies of 6 dogs in the area of Zenica called Kamenolom, some 6km from the city center. Four bodies were found on one spot, thrown in the river banks, and two bodies some 100m upstream, in a very hard to reach area. 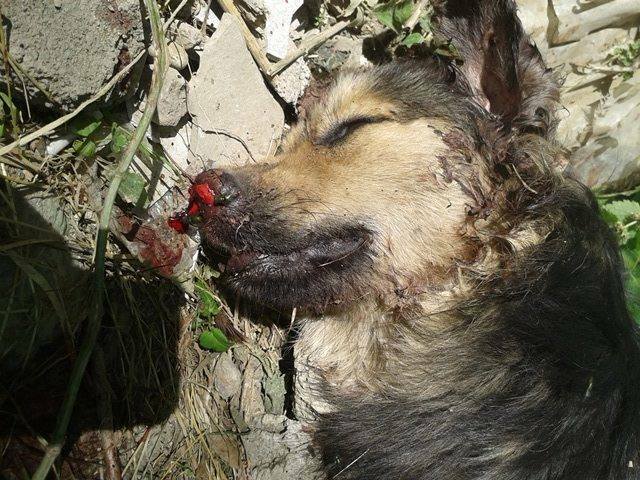 allegedly more dogs are missing and more bodies were seen but the unknown perpetrators moved the corpses. 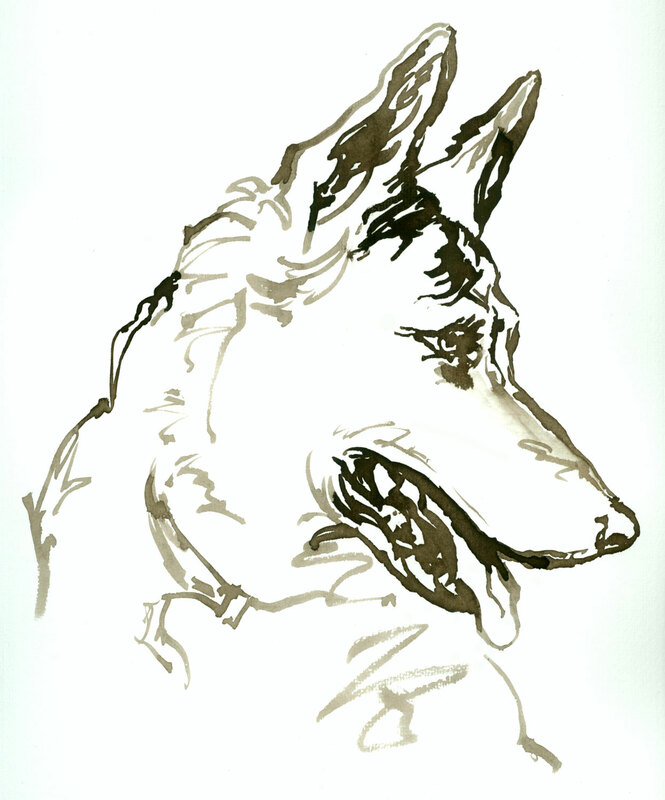 Half of the dogs had ear tags (showing they had been sterilised), and volunteers easily identified and recognized the dogs, including some dogs who had no ear tags. All the dogs had visible trauma inflicted on them by human hands, numerous wounds. It is suspected they were hit repeatedly until dead. 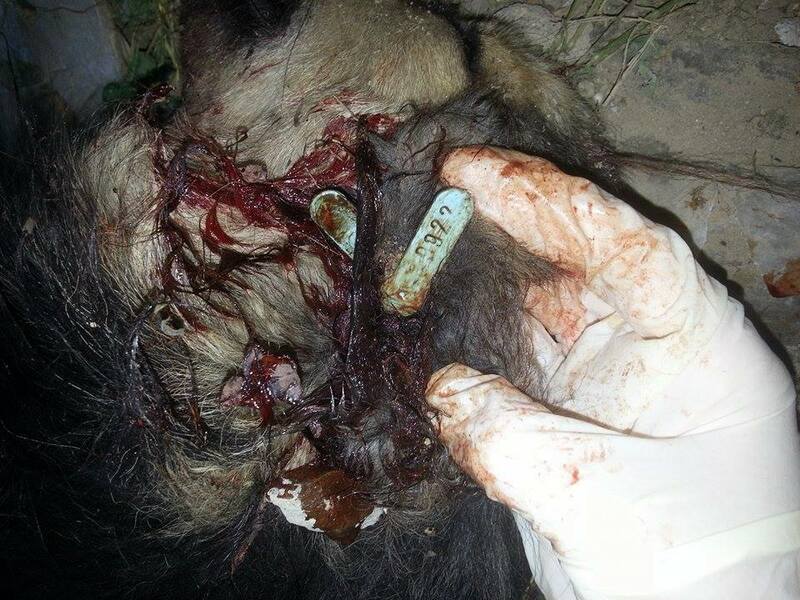 Blood traces were visible on the head, body, coming from the ears and the mouth. All the dogs were from the city center. 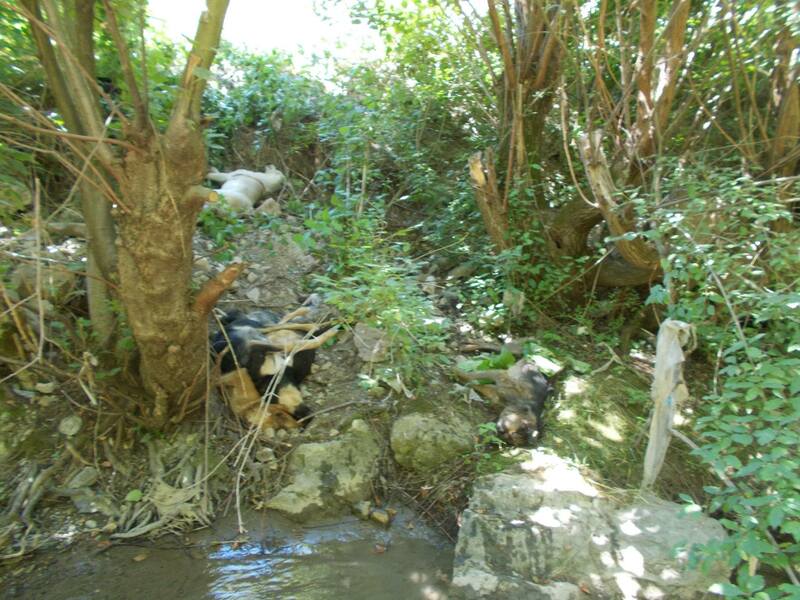 The were clearly caught and killed and then transported into this river bank area to be discarded. On the location where two bodies were found, a dog collar was hanging on a tree above. 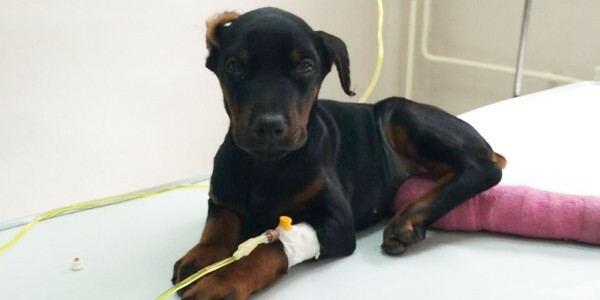 SAPA Zenica immediately informed the local media, the Municipal authorities, the Cantonal Veterinary Inspection, and the Police, and they will file charges to the Prosecutor’s office, on the basis that several criminal acts have been committed. SAPA volunteers had a sterilization weekend that week, 11-12 July, in another action to help the wider community by ensuring dogs are sterilized, vaccinated, ear tagged, and that the rise of population is prevented. To discover this in the midst of the sterilization campaign was agonizing, the volunteers having known these dogs for years. 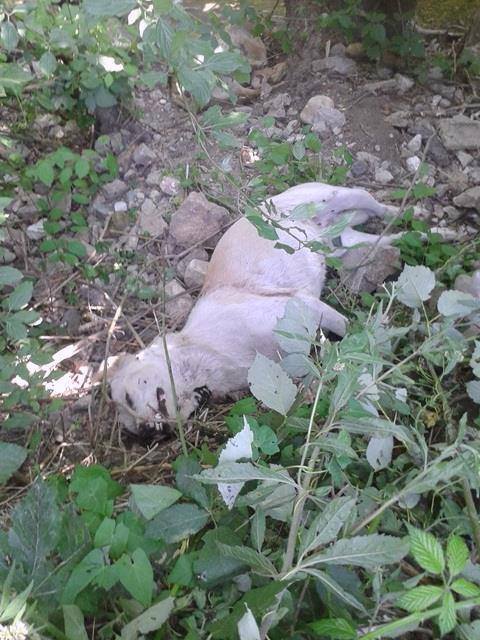 The next day, citizens reported more missing dogs, especially in one part of Zenica, and also found a witness who, on the 12 July around 00:30h in one part of Zenica prevented more dogs from being killed. They spotted a white van, no number plates, and two males in the van, one with a gun, stepping out and calling dogs. This responsible citizen prevented them from killing and catching dogs in that street but didn’t call the police immediately. He gave a description and chronology of this incident which SAPA Zenica also reported to police. After the media reported these atrocities, shocking public comments were also reported to police, especially on Facebook from the “Stop Ugriz” (Stop dog bites) group which is known for spreading hatred, encouraging violence, and inciting others to perpetrate killings of dogs. Fighting an “invisible“ enemy is most difficult, as it is suspected that a group of people is organized and hired to privately “deal” with the “issue” in this cruel manner. SAPA Volunteers reported about this on their FB page, informed all citizens publicly and alerted all people who feed animals to be on watch, on alert and on guard and to prevent atrocities and to call the police. We need to stop this and make police and authorities identify perpetrators instead of turning a blind eye. 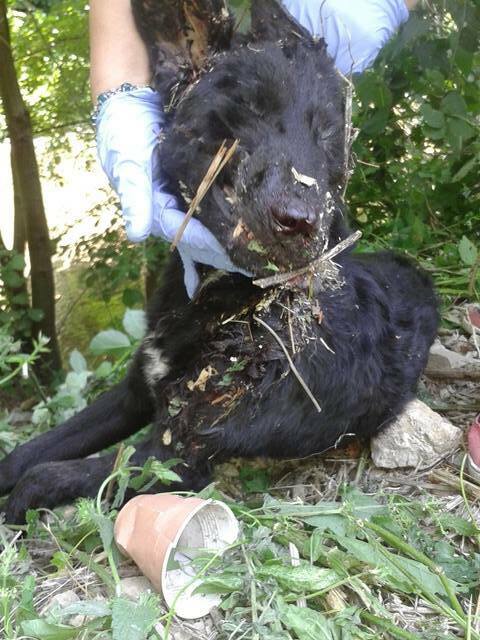 SAPA Zenica and our dogs need your help.